There are a number of foods that are good for you and can also help burn fat. Fat-burning foods, as they are called, are those that help curb cravings and keep you feeling fuller for longer. This means that you’re snacking less and eating smaller portions while still feeling satisfied. In fact, there are some fat-burning foods that actually jump start the metabolism, allowing your body to burn more calories. Below are the top fat-burning foods that will help you lose weight and curb your appetite. Be sure to add them to your shopping list! Beans are high in fiber, high in protein and take time to digest. When they are incorporated into meals like chili or soup, they make the dish more filling and keep you feeling full. Beans are also cheap and versatile. They can be added to many foods and come available in dry and canned varieties. Apples are a much better option than applesauce or apple juice. They are low in calories and packed with fiber, and all that chewing makes your brain believe that you have eaten something substantial. Apples are also filling – try one for a snack and see the difference it makes! Berries may not have a crunchy texture, and you do have to limit how many you eat, but they are packed with phytonutrients that aid in cancer and lower cholesterol. Eggs are an excellent option for breakfast, or even an on-the-whim dinner, because they contain plenty of protein and are lower in cholesterol than nutritionists once believed. When you start your day off with a satisfying breakfast that makes you feel full, you’re less likely to overeat throughout the day. Also, these high-protein breakfasts have been shown to last well into the evening, helping people have better control over their appetite. Salmon provides a rich dose of omega-3s, which lowers the risk of heart disease, fights inflammation and slows up the rate of plague building in the arteries. Salmon is also packed with protein, and the healthy fats will give you a satisfying meal without all the carbs. Not all types of salmon are created equal, though. The most popular pick in grocery stores is farmed Atlantic salmon, but this isn’t the best choice. Instead, aim for wild-caught salmon like king salmon or sockeye, as Atlantic salmon are now endangered in the wild. It’s true that nuts are high in calories and fat, but you don’t need many to feel full. A handful of nuts like peanuts or cashews several times a week is believed to shed weight and prevent disease. 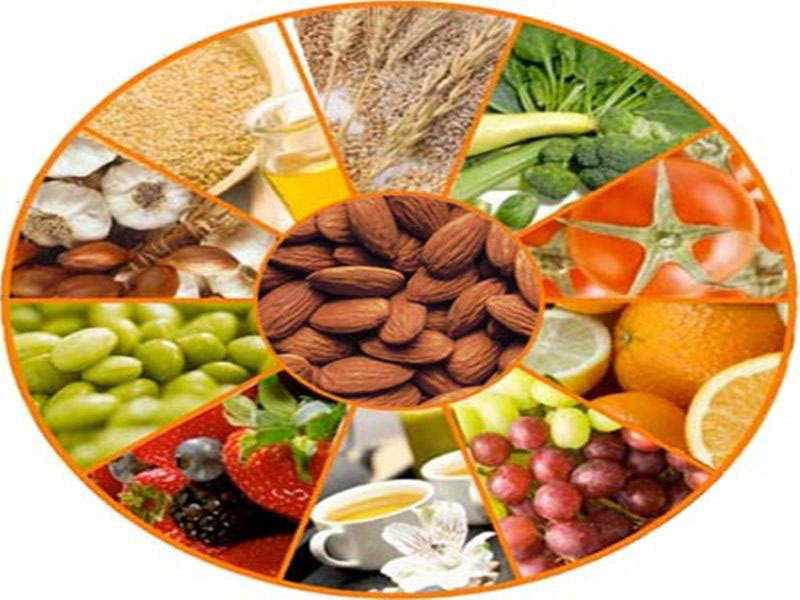 Almonds are one of the best picks because they are loaded with monounsaturated fats (good fats) as well as fiber. A handful of almonds and an orange make a great, satisfying snack. Grapefruit can help you burn fat, and is a great choice for people at risk for diabetes. Researchers at Scripps Clinic in San Diego found that people who ate half a grapefruit before each meal lost 3.5 pounds in 12 weeks. The same results were found when drinking grapefruit juice as well. It’s hard to say that you’ll see the same results, but at least grapefruit won’t pack on the pounds, and it’s sweet and refreshing. Yogurt is one of those foods that has been linked with a smaller waist line. Yogurt is filling, tasty and leaves room for adding berries, nuts and granola. The popular Greek yogurt is an excellent pick because it contains twice the amount of protein as regular yogurt. Be sure to stick to yogurt that is low-fat, otherwise you will be taking in a lot more carbs, calories and fat. Also, opting for plain varieties is best since flavored options contain added sugars. A final fat-burning food to incorporate into your diet is broccoli. Broccoli is one of the most nutrient-dense foods and contains only 30 calories per cup. This means that you can get plenty of fiber that curbs your appetite in each serving without getting a ton of calories. Broccoli is also packed with polyphenols and antioxidants that encourage healthy cell growth and fight certain cancers.